Trying to find SWB K truck pictures. Seems the majority are LWB around here. 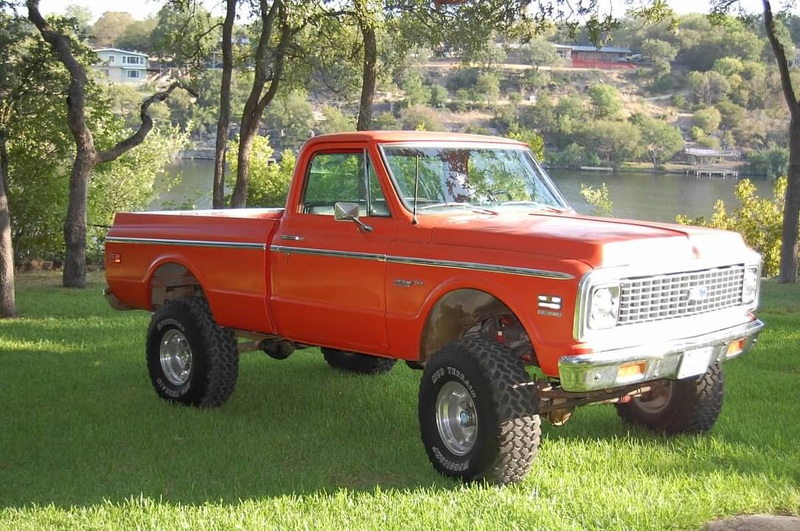 Please post SWB K's only and only 67-72 Chevy and GMC. And if you post your own truck some details would be awesome. Lift or no, tire and wheel size. Drive train. My ol’ 1972 1/2 ton 350/350 4” lift if I remember correctly. Zero rust ever. 1972 K10 SWB Highlander 327 with camelback heads TH350 with NP205. 3:73 posi. Fun little truck. 2 1/2” Skyjacker Soft Ride all spring lift. Thanks for getting it started guys, both nice rides! Only pic I have right now. Just go a donor for it. 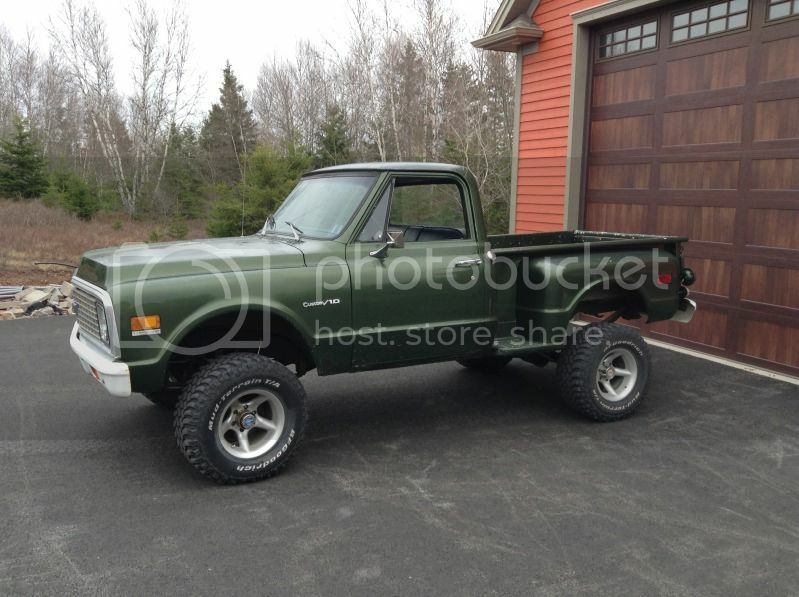 71K1500... mid level "Custom trim", medium bronze, power steering & brakes, AC. Couldn't resist adding a few options as I put truck back together during resto: carpet, tach cluster, tilt wheel. Added a 2" tuff country spring lift that looks more like a 4" lift to me. Leaning toward lowering truck next summer. Tires are 32x11.50 Cooper. My 71’ Cheyenne Super. 4” lift, 35”s. Here's my 72 Custom Deluxe, mostly original...I did upgraded interior to the Highlander package. Thanks for the pics guys. I have enough chunks and pieces to cobble one of these together. Ive always been a long wheelbase fan and never really got in to the shortys. Ive always thought they looked kind of stubby, but then you see pics like you guys posted and they look perfect. I suppose its just an angle of the picture thing. Last edited by hotsam; 12-07-2018 at 12:51 PM. I will get mine restored to bone stock someday but for now i drive her the way she is. Hell of a truck. Very nice. 71 Chevy. No body yet, still massaging it. But the bones look good. Bad, how do you like those rollers? I have the ones the tire rests in, but have wondered how well the ones you have work. Not having to deal with the tires in the way seems like a good idea. Where did you get them?